Fun fact: As a child, I never liked pink because it was always seen as such a ‘girly’ colour and I’ve never been a girly girl lol. 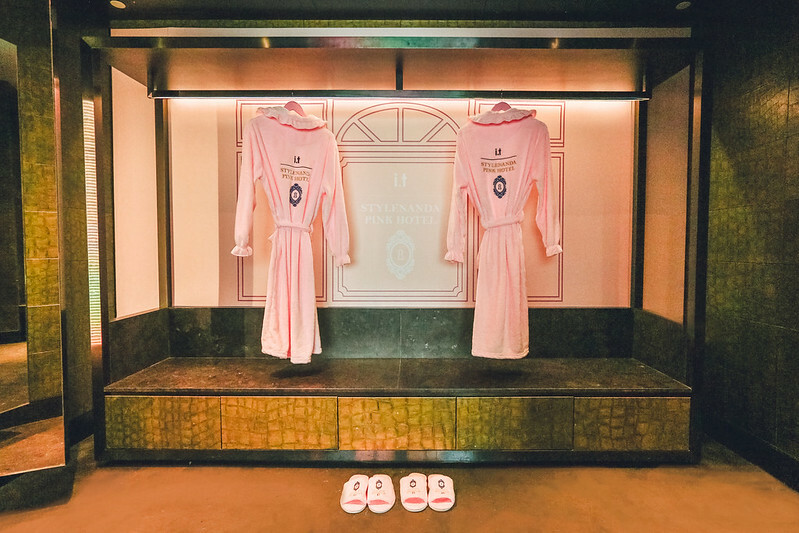 20 years later, still not a girly girl – but I’ve changed my opinion about pink. I see now the appeal – the rosy hue, the soft, pastel-like hue which exudes feelings of fun, coquettishness, warmth and playfulness. While the colour has always been associated with something soft and romantic, W Hong Kong is turning that definition on its head – by taking it on with a fresh new interpretation that blends sophistication with style. 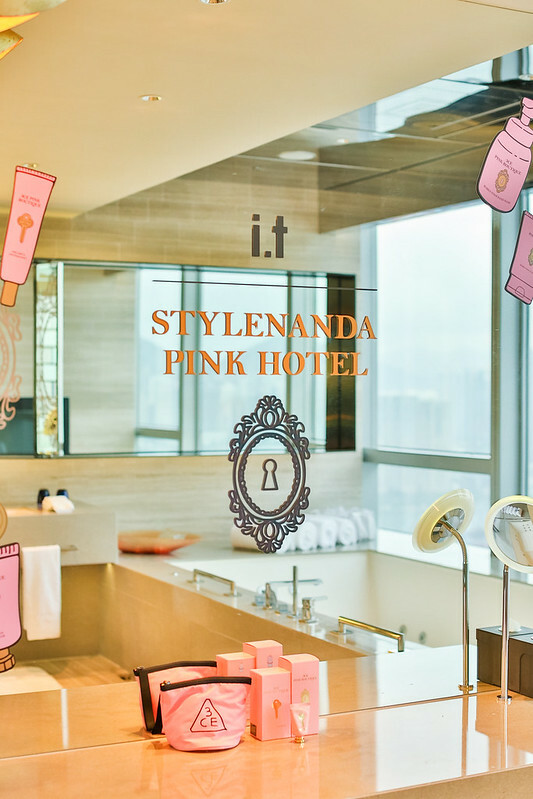 Collaborating with multi-brand fashion house i.t, the five-star luxury hotel will see its elegantly designed and exquisitely furnished Extreme WOW Suite get a pink bling makeover – courtesy of Korean women’s fashion and beauty brand STYLENANDA! Established in 2004, STYLENANDA has become a household name in Korea. Their collections are recognised for combining feminine styles with eye-striking silhouettes; with a full range of modern chic and edgy apparel, as well as their own cosmetics line. 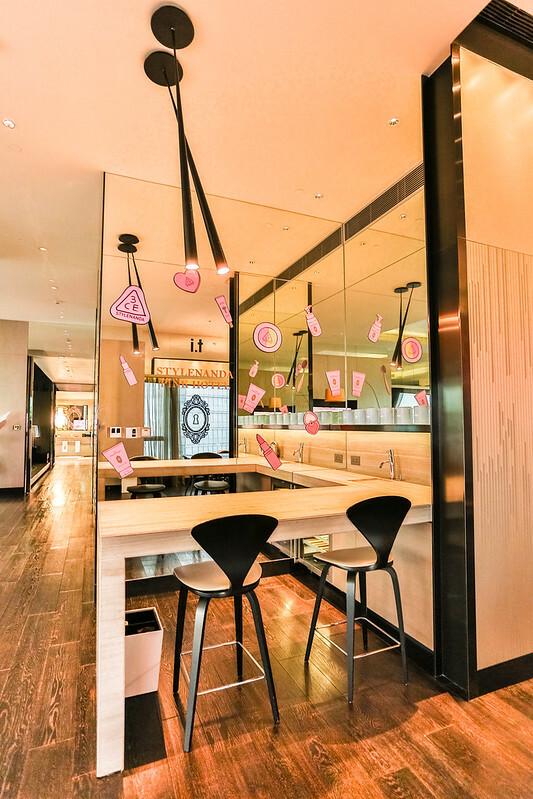 Instagrammers and pink lovers will absolutely adore the new pop-up theme of the Extreme WOW suite, which has been transformed to include vivid pink hues spanning over the suite’s 2,000 square feet of floor space with double-height ceilings, all frosted with an ultra-chic pink breeze. Be amazed by all the stylized pink embellishments, pose in front of the bombshell all-pink closet, jump into our W signature bed with pink makeover, toast with your besties in the living room filled with our decadent photogenic décor, pamper yourself with beauty treats in the out-of-this-world bathroom with views of the Hong Kong harbor and enjoy the “STYLENANDA PINK HOTEL” guests only amenities. 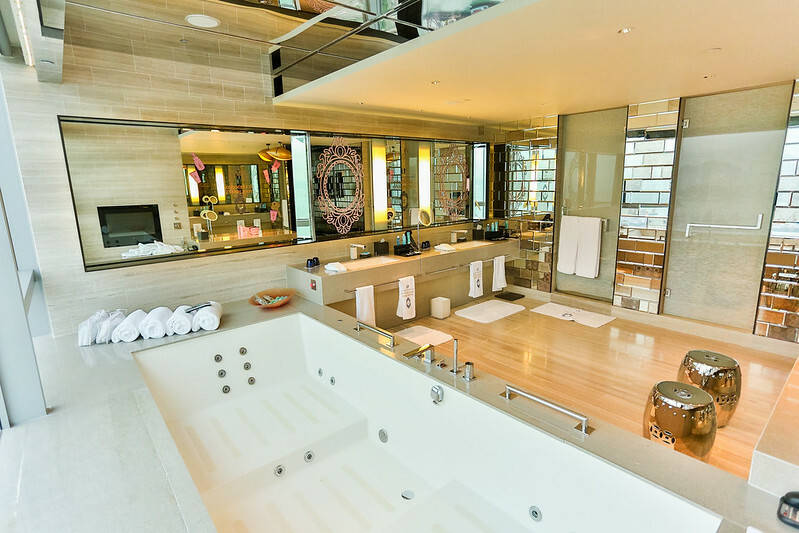 Luxuriate in the spacious bathroom that offers panoramic views of the harbour. 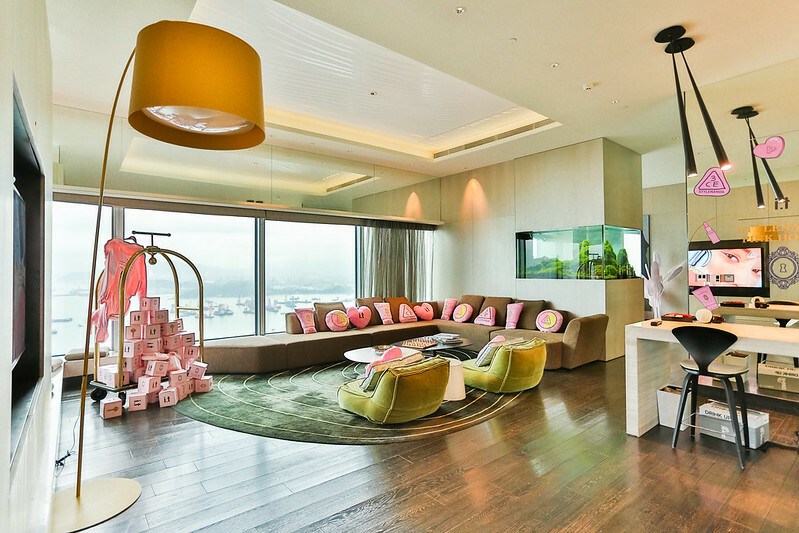 The pink suite will only be available from September 3 to November 30, at HK$38,000 plus 10% service charge per night. 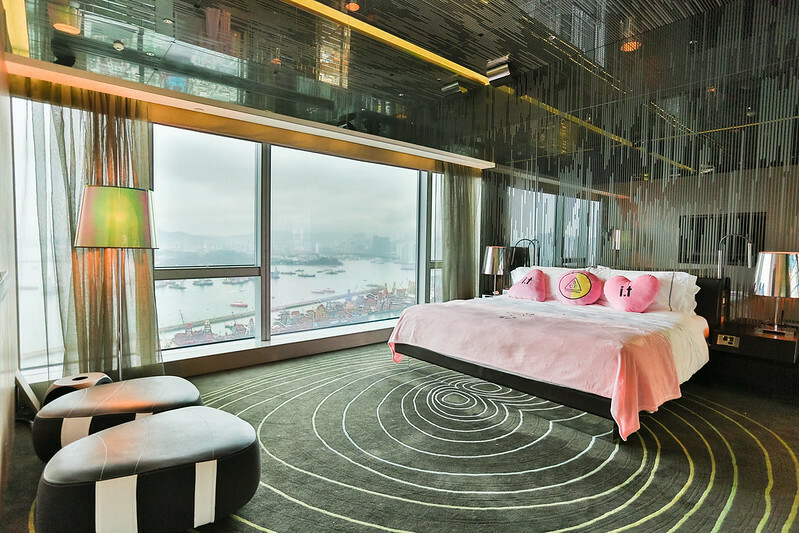 For enquiries and reservations, call +852 3717 2992, email wreservations.hk@whotels.com or book online for an unforgettable stay. Located conveniently in the buzzing West Kowloon district, W Hong Kong brings its signature Whatever/Whenever® service philosophy and whimsical sensory experience, with 393 rooms and a stunning view of West Kowloon Harbor, an award winning bliss® spa, cutting edge business facilities and function space, superior recreation facilities, two signature restaurants Sing Yin Cantonese Dining and KITCHEN with an eventful WOOBAR that are all set to tempt the city’s chic set. With the highest outdoor poolside bar in Hong Kong, WET DECK on the 76th floor provides the perfect venue to have corporate assemblies with fellows or clients. More information at https://www.marriott.com/hotels/travel/hkgwh-w-hong-kong/.